Trees; actual, mythical and metaphorical; are at the heart of mankind's relationship with the natural and supernatural world, a relationship that serves as a powerful index of both ecological and spiritual well-being. 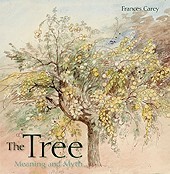 This fascinating book surveys the meaning of trees: historical, cultural, scientific and artistic. We encounter the Egyptian tree goddess Hathor dispensing sustenance in the afterlife; the mighty oak sacred to Zeus; Adam and Eve alongside the tree of the knowledge of good and evil; the Buddha under the bodhi tree of enlightenment; Xiwangmu, Queen Mother of the West and her famous peach tree of longevity; Rembrandt's celebrated etching The Three Trees; drawings by William Blake and Samuel Palmer and trees in modern art. Stories, facts and quotations are complemented by a wonderfully diverse selection of images, demonstrating the extraordinary range of this subject. This book is lavishly illustrated with an incredible range of art and artefacts including Egyptian wall paintings, Assyrian reliefs, ancient Greek vases and jewellery, Indian temple sculptures, Ming Dynasty paintings and ceramics, Japanese screens and woodcuts, Indonesian shadow puppets, British watercolours and a 21st- century tree of life from Mozambique.